The first step towards responsible pet ownership is to learn about the breed you are interested in. Becoming educated on breed history, along with an understanding of natural characteristics will allow you to decide if a specific breed is right for you. It is our hope that in reading the following, you will develop a good understanding of the Welsh Terrier: what the breed has to offer, their background and tendencies, and most of all, their needs when it comes to pet and family life. 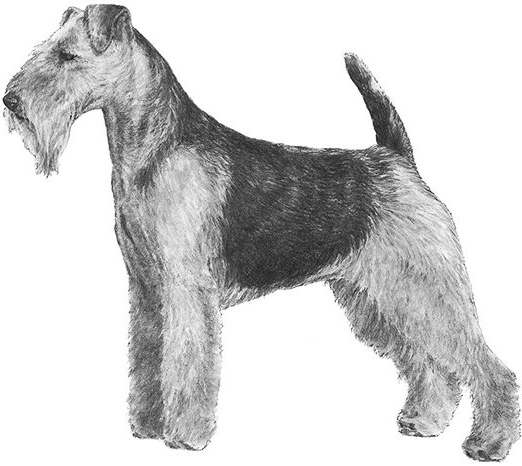 The Welsh Terrier is a very old working breed. Welsh Terriers have been bred for centuries to locate, chase, flush out and kill prey, without any prompting or hesitation. This ingrained personality is such that the breed has the drive, tenacity and stamina to chase prey relentlessly through harsh terrain, without noticing the pain of bramble cuts or bites. These working requirements have created a unique set of traits of which most Welsh Terriers share. 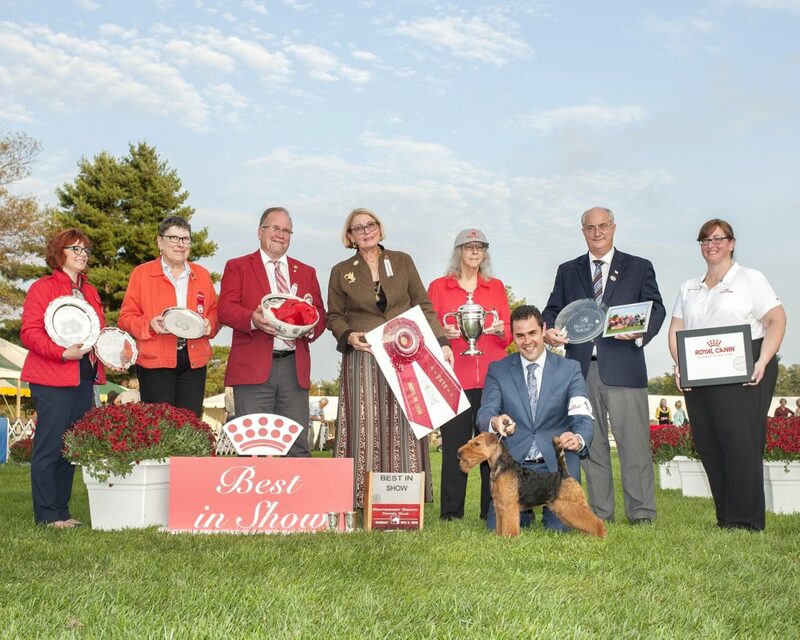 Understanding their working history and function is important, as those who select a Welsh Terrier assume the responsibility of respecting and working with the hard-wired traits of the breed. Welsh Terriers tend to apply their avid intellect and problem-solving abilities towards their own initiatives first and foremost. Prey Drive: This breed possesses the highest level of prey-drive. Prey drive simply means that Welsh Terriers have a powerful natural impulse to chase moving objects; which in everyday life can be cars, cats, squirrels, or running children. Unlike many other breeds, even the best-trained Welsh Terrier can never be completely trusted off-leash. Strong Instinctual Reactions: Welsh Terriers are prone to strong instinct-driven behaviors. The breed has propensities towards: high prey drive (chasing), an assertive manner with other dogs, resource guarding, and automatic defensive reflexes (for example, growling when suddenly being woken up). Welsh Terriers are not recommended for inexperienced homes, especially those with small children. 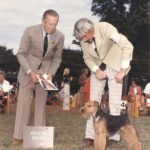 Training is critical to help teach Welsh Terriers to self-regulate, and owner awareness and understanding are imperative towards suitably managing the natural tendencies of the breed. Barking: Unlike many other terrier breeds, Welsh Terriers are not known for aimless or excessive barking. The breed does however have a propensity for alert barking. Alert barking is barking in response to environmental stimuli, especially at home. If you live in the city with a Welsh Terrier, be prepared to take on some diligent training and/or managemnet if you wish to lessen alert barking over daily happenings! Energy Level: Welsh terriers relish their downtime, but even the most calm and well-trained Welsh Terrier can go into overdrive in seconds at the sight of prey or other fast-moving objects. A Welsh Terrier is a lazy pet one moment, and a driven hunter the next. Welsh Terriers require mental and physical exercise to fulfill the daily needs of their active minds and athletic bodies. Being just physically or mentally tired is not enough: both needs must be met to prevent a restless, frustrated Welsh Terrier. Grooming: The traditional method of grooming a Welsh Terrier is called hand-stripping. All show Welsh Terriers are groomed using this method. Proper hand-stripping requires skill, is labor-intensive, and must be done on a regular basis for the quality of the coat and the comfort of the dog. The benefit of regular hand-stripping is a traditional-looking richly colored black and tan coat with a hard wiry texture. Many pet owners opt to have their Welsh Terriers clipped, which requires less labor and skill. Once clipped a few times, the texture of the coat usually becomes softer and often can no longer be stripped. Training: Welsh Terriers require a sizable amount of training compared to most other breeds of dogs. The best match for a Welsh Terrier is an owner who is open-minded and interested in spending extra time and effort training and building a bond with their dog. Welsh Terriers are fast learners, but their specialty is to do the same thing differently every single time! 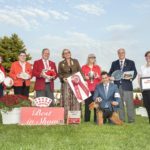 If you are looking for a “challenge to overcome,” you will find yourself very frustrated with the experience of training a Welsh Terrier. Whereas one can generally train a Golden Retriever to learn commands and expect those commands to be readily carried out once learned; training a Welsh Terrier is not a process with a beginning and an end. Training and working with a Welsh Terrier is an ongoing mutual process that lasts for the lifetime of the dog. Due to their resiliency and strong will, the breed can respond very poorly to correction-based training methods. Great care should be taken in selecting a trainer and/or training method. Not Reliable Off-Leash: Welsh Terriers can never be 100% trusted off-leash, no matter how well-trained. Need Regular Safe Exercise: Welsh Terriers require regular exercise. They need access to a secure fenced area in which to play, and/or guaranteed regular on-leash exercise. It is advised that fences be 6″ below ground to deter tunneling. A variety of exercise options should be provided to Welsh Terriers: being left alone in a backyard can lead to digging, nuisance barking, and escape; and repetitive games such as fetch if offered as sole sources of exercise can lead to physical and/or behavioral problems. Not Always Good Candidates for Daycare, Dog Walking Services, or Dog Parks: Welsh Terriers have a bold and assertive manner that can get them into trouble with other dogs. If challenged, a Welsh Terrier will often rise to the occasion. Even the friendliest Welsh Terrier can have his natural approach mistaken for one of confrontation, which can lead to a fight. Therefore, not all Welsh Terriers are good candidates for dog daycare, dog walking services, or dog parks. While younger Welsh Terriers can be more congenial and playful than their adult counterparts, primarily exercising and/or “socializing” younger Welsh Terriers by means of daycare and/or dog parks is not recommended for long-term safety and behavioral well-being. Proceed with Other Pets with Caution: Due to their high prey drive, Welsh Terriers can be very excited by cats, and cannot be trusted with smaller pets. Careful training and safety protocols are needed to acclimatize a Welsh Terrier to living with cats. Training Isn’t One-Size-Fits-All: Welsh Terriers have a strongly ingrained natural set of behaviors that are often misunderstood by general dog trainers. 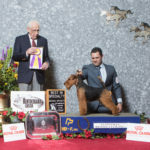 Prior to bringing a Welsh Terrier into your life, it is a good idea to establish a connection with a suitable and savvy trainer. If trained using ill-suited methods, behavioral problems can easily and quicky arise and be exacerbated in a Welsh Terrier. The Welsh Terrier is an affectionate, versatile, and sturdy little dog. Welsh Terriers have endless personality, spontaneity, and companionship to offer. The breed is extremely charming in both appearance and personality. It is important to recognize that in addition to their outward appeal, Welsh Terriers are a true working breed with a strongly ingrained set of traits and history.